Museums in Amsterdam, especially the popular ones like Van Gogh and Rijksmuseum, are very popular. It’s best to buy tickets online in advance. If you are going to see many museums, it might be cheaper to buy a discount pass. Which one? compare Amsterdam city passes. Find it annoying how you don’t know good shows to go to when you go on a city trip to Amsterdam? And when you do, you pay a lot of money without knowing what the show is like? Don’t know how where to buy tickets for shows in Amsterdam? Find shows in Amsterdam expensive? Here’s your answer: the last minute ticket service. This service offers many tickets to music show, opera, ballet, dance performance and theatre for that same day for half the price! Ticket sale starts every day at 10.00 AM. You can get 2 tickets max per time. Tickets are only for sale via the website: Lastminuteticketshop.nl. Click the show you like and choose English in the upper right corner to change the language. You can pay by iDEAL (for dutch banks) and by credit card. The cost of the show is added by €2,50 ticket sale fee and 4,5% for paying by credit card. Finding a good restaurant in Amsterdam is difficult. The choice is large, but the quality and authenticity can be low. You are most likely to end up in an ‘Argentinian’ steak restaurant that has nothing to do with Argentina and even less with Amsterdam. To find a good restaurant, you need a good restaurant guide. All Dutch people use only one website to find a good restaurant in Amsterdam: Iens. 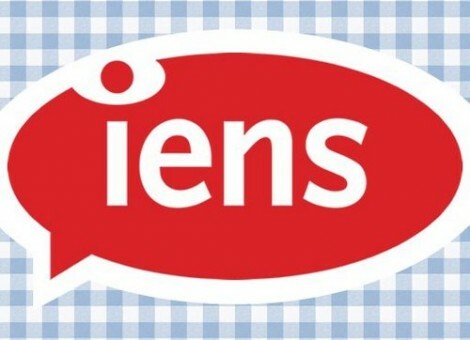 And luckily for you, Iens restaurant guide is now also available for English speakers. Just type in Amsterdam (or any other Dutch city) and you find a list of best restaurants graded from 1 to 10. Iens includes English language reviews by the people who tried it out. You can also search by area or have the spot pointed on a map. Iens.nl or TheFork.com/city/amsterdam/19088 (English language). It’s really difficult to go a concert during your stay in Amsterdam. If you can discover what’s playing, tickets are probably sold out anyway. Buying tickets online for concert that’s sold out can be very tricky and it’s likely to be a fraud. Ticketswap is a new website that sells second hand e-tickets to concerts from person to person. Their system is pretty safe and you can be sure the tickets are really there when you pay because Ticketswap checks the ticket. Now, even you as a tourist can get a ticket to a long sold out concert! Also available as an app for your phone. Are you bringing a baby? Carrying prams and push chairs can be a real hassle. Travel baby Amsterdam rents out all these things so you can travel light: high chairs and rockers, strollers, prams and push chairs, travel cots, front and back carriers, car seats, bottle warmers and room monitors. Easy as pie! Would you like to leave your luggage? The Leave Your Luggage driver picks up your luggage from any location in Amsterdam and delivers it for you to Schiphol Airport. Instead of going back to the hotel to pick up your luggage you can now reclaim your day and enjoy the city luggage free. No hassle and the service is convenient and secure. View their 5 star reviews: Leave Your Luggage. At Schiphol your luggage will be securely stored at the baggage depot of the Airport between Arrival hall 1 & 2. Here you can pick up your luggage before checking-in onto your flight. You may book the service at www.leaveyourluggage.com; fill in your pickup location and book in 3 seconds. In The Netherlands, it’s not common to hail a taxi in the street. Taxi’s are waiting for customers at specially assigned taxi stands. Find a map of the official taxi stands in Amsterdam. Taxis are expensive in Amsterdam, read about taxis in Amsterdam. So how do you get a taxi in Amsterdam? You call one. The number is easy to remember. It’s 7×7. Including the Amsterdam 020- prefix and The Netherland pre-fix +31 that’s: 0031 20 7777777. The taxi will not take long to get there, except on special days like new years eve, when it’s virtually impossible to order a taxi in Amsterdam and you’d better order one in advance. In the beginning of the internet days they popped up everywhere: internet cafés. With the arrival of wifi and the smart phone, they all vanished as quickly as they came. So if your phone is not big enough and you need some serious and secure internet acces, you are most likely to find a computer at your hotel. If not, there are some places in Amsterdam you can go online. First and probably your best option is the Amsterdam public library. This might seem dull, but once you have checked out the beautiful building and great interior of the Central Amsterdam public library (OBA) near Central Station, with its fantastic view, you probably don’t want to leave again. Find all libraries on the map: (1 is the central one). Another good option is smartshop Kokopelli, near Central Station (Warmoesstraat 12). A really relaxed, loungy atmosphere, friendly staff and you may even smoke here! All English spoken films in Dutch cinemas are easy to see for tourists because films are always subtitled for the Dutch. Seeing a film is a good and budget friendly way to spend an evening in Amsterdam, but you probably want to choose the film first. For English speakers the website of Biosagenda.nl might be handy because it lets you view the cinema on a map. Just click Lees meer beneath the name of the cinema and the cinema appears on a handy map. Cineville also lists arthouse films. If you are interested in the more alternative cinema scene, check out this article on art house cinema’s in Amsterdam. The train is Holland’s most popular form of public transportation. It’s a dense system and because The Netherlands is so small you can get to the smallest villages by train. It’s also very comfortable and nice to enjoy the view (but it’s not the cheapest in the world).Just try to avoid the peek hours (from 7.30 – 9.00 AM and from 5.00 to 7.00 PM on weekdays). The Dutch railways are called NS (Nederlandse Spoorwegen) and their website also has an English section. Reservations for a train in The Netherlands is not possible, except on international train rides. Exploring The Netherlands is easy because of the OV-chipcard (€7,50). You get the card at a station and charge it with money. Then you just chip in and go where you want to go, change trains and see where you will end up! !!! Kids (between 4 and 12) travel free, but they need their own OV-chipcard (7,50) and load the Kids Vrij season ticket. Why are Amsterdam houses crooked?